The delivered assortment must correspond to what was ordered, as presented on our website. 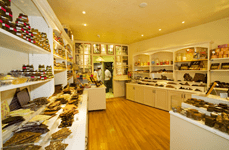 La Compagnie du Chocolat offers a range of prices for each type and size of product. The size of the product corresponds to a specific chosen price. The weight shown is minimum net weight. 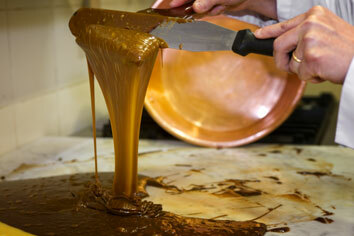 Each product we deliver has a best before date, guaranteeing the freshness of our products. At La Compagnie du Chocolat, we are committed to delivering products on time, within the delivery timeframe you select for your delivery option. At La Compagnie du Chocolat, we guarantee the total security and flexibility of credit or debit card online or telephone payments, thanks to our payment system which we entrust to a service provider specialised in payment security. At La Compagnie du Chocolat, we guarantee the total confidentiality of your banking information, secured by the SSL Protocol, which automatically controls the validity of access rights when you pay by credit/debit card, and encrypts all transactions in order to guarantee confidentiality. We do not at any time know or keep information related to your debit/credit card. Any product returned in its original packaging within 7 days will be refunded in full, once the visible fault of the delivered product has been verified. At La Compagnie du Chocolat, in accordance with the Quality Charter, we guarantee the respect of certain common regulations in order to achieve a high-level of customer satisfaction. As we aim for a high-level of customer satisfaction, we choose, select and check our products, ensuring they respect our tradition for using pure cocoa butter.